- An Eternity Knot encircled by smaller knots, shown in silhouette, pops against the vibrant red background of this light weight copper pendant. Diamond cut edges add sparkle and shine. 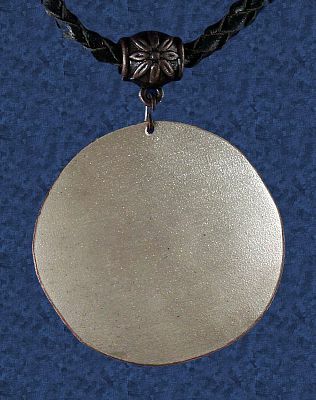 This stunning pendant hangs from a black braided leather cord, which has an antique copper lobster clasp, mount and 1.5 inch extension chain. 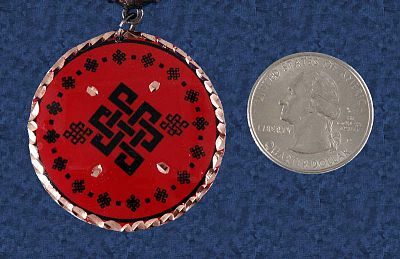 Pendant is approximately 1.5" in diameter. 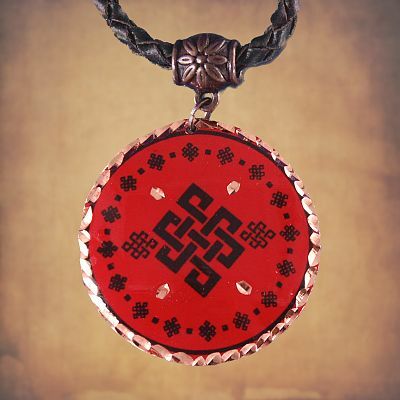 Do you have any other questions about our Red Eternity Knot Copper Pendant?